Automobile industry is one of the leading and fast growing markets globally. With the increase in standard of living and life style the use of automobiles has been increased from day to day in India. In earlier days most of the Indian car auto manufacturers have been relied upon the foreign technology but scenario has changed over the years where companies are using their own technology. To suit the modern lifestyle, Indian Companies are launching new automobile models with best features and even leading in exports. Even India has emerged as the Asia’s fourth largest exporter of passenger cars in the world. According to the society of Indian Automobile manufacturers, annual vehicle sales are estimated to increase 4 million by 2015. Following are the List of Top Companies In Automobile Sector that are leading the market that have been succeeded in promoting their business. 10. 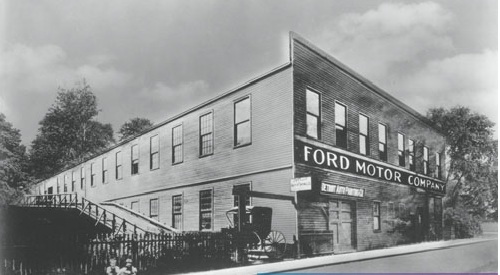 Ford Motor: It is a subsidiary of Ford Motors established in 1903 and headquartered in Michigan, United States. It is one of the leading producers of automobiles and is involved in automobiles and commercial vehicles under Ford brand and even manufactures and sells most luxury cars under the Lincoln brand. It holds more than 274 sales and service outlets in 146 cities and makes effort to offer the best featured vehicles. Ford Figo, Classic, all new Fiesta, Endeavour, Ecosport are some of the best selling cars offered by the company. 9. 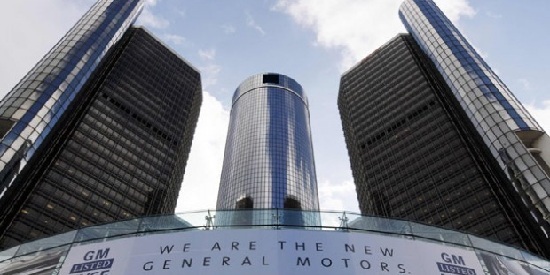 General Motors: It is an American multinational automobile company that holds presence in more than 32 countries including India. It is involved in designing, manufacturing and marketing thevehicles and vehicle parts. It produces vehicles under 10 brand names including Chevrolet, Buick, GMC, Cadillac, Opel, Holden, Vauxhall, Wuling, Baojun, Jie Fang and UzDaewoo. The company has 2 manufacturing facilities in Halol and Talegaon in Maharashtra and offers best quality featured vehicles. Address: 1st Floor, Plot Number 15, Sector-32, Guargon-122001. 8. 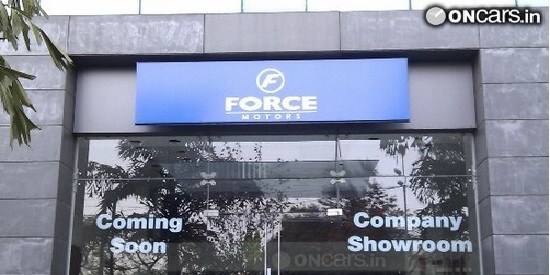 Force Motors: It is formerly known as “Bajaj Tempo” that was established in the year 1958 and headquartered in Pune, India. It is the leading manufacturer of three wheelers, cross country vehicles, light commercial vehicles, tractors, buses and now heavy commercial vehicles. It holds trained professional who come with the innovative ideas to launch new models with best features. It is the leading manufacturer of tractors in India with indigenous technology. Address: Mumbai-Pune road, Akurdi, Pune-411035, India. 7. 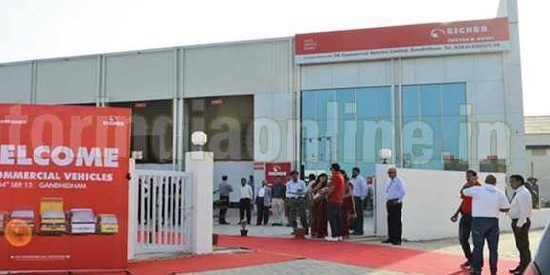 Eicher Motors: It is one of the leading automobile companies in India that was established in the year 1948. It is a flagship company of Eicher group and is involved in manufacturing of commercial vehicles like trucks, buses, Volvo trucks India with best features like latest designs, fuel efficiency, high quality and reliability. It uses modern technology to engineer the components and to provide best design solutions. Addess: Eicher Motors Ltd, 3rd Floor – Select Citywalk, A-3 District Centre, Saket, New Delhi – 110017, India. 6. 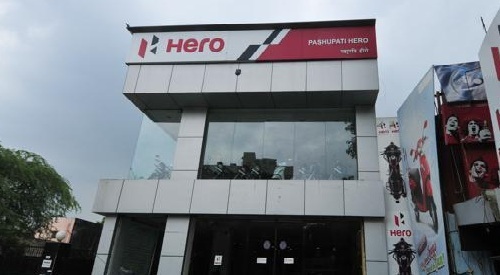 Hero Moto Corp: Hero motor corp Ltd is the world’s largest manufacturer of two wheelers based in India. It was started in 1984 as an alliance between Hero cycles of India and Honda of Japan. In two wheeler manufacturing and marketing company constitutes 46% share among others. It is committed to provide world class features by implementing the latest technology and quality. Hero Honda splendor, Karizma, CBZ Extreme, Pleasure, Slpendor pro, Glamour are some of the best selling motorcycles of the company. Address: Hero MotoCorp Ltd, 34, Community Centre, Basant Lok, Vasant Vihar, New Delhi – 110057, India. 5. 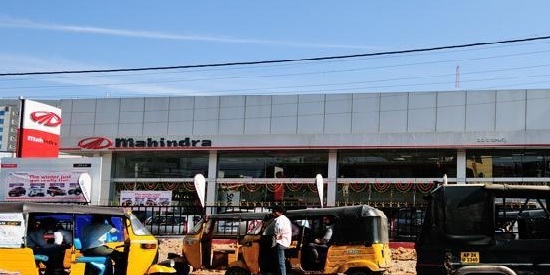 Mahindra & Mahindra: It is an Indian multinational automobile manufacturing corporation that was established in 1945. It is one of the largest vehicle manufacturers by production in India and is a part of Mahindra group. It was ranked as the 10th most trusted brand in India, by The Brand Trust Report, India Study 2014. They are market leader in tractor manufacturing in India and manufacture many known car brands like Scorpio, XUV 500 and Quanto. 4. 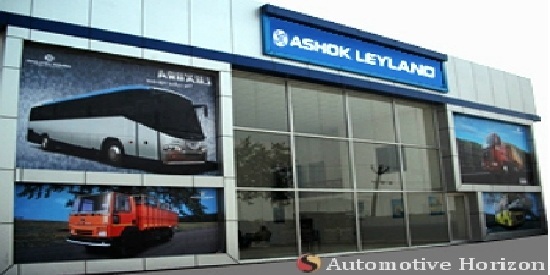 Ashok Leyland: It is one of the leading automobile companies in commercial automobile category. It was established in 1948 and operates 6 manufacturing units in India. It also makes spare parts and engines for industrial and marine applications along with commercial vehicles like buses, trucks, light vehicles, emergency and military vehicles. It manufactures and supplies to many Government organizations like Defence, state transports and Industries. Address: No.1 Sardar Patel Road, Guindy, Chennai – 600 032. 3. 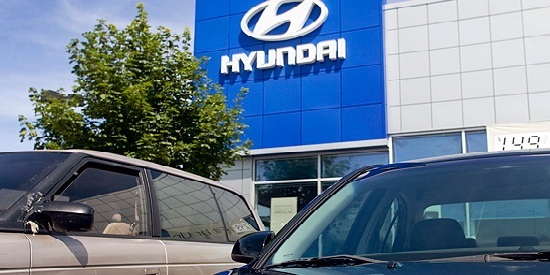 Hyundai: Hundai Motor group was founded in 1967 and with its innovative technology and leading models it is consistently ranking one among the top 5 automobile companies in India. It is a South Korean multinational automotive company headquartered in Seoulk, South Korea. It has its presence over 193 countries through more than 600 dealerships and showrooms across the world. Some of the top selling cars in company include i10, i20, Verna and Elantra. Address: Survey No 5/2 & 5/3, Behind NAC, Opposite Hitech City MMTS Railway Station, Izzat Nagar, Lingampally Mandal, Ranga Reddy District, Hitech City, Hyderabad, Andhra Pradesh 500084. 2. 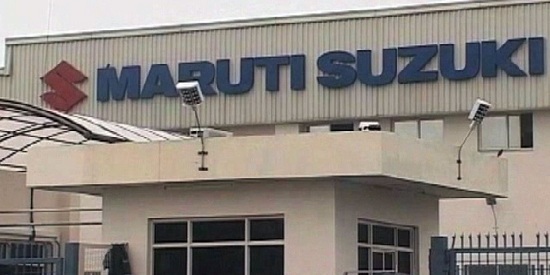 Maruti Suzuki: It was established in 1981 and it is the country’s one of the leading manufacturer of automobiles. Maruthi Suzuki was formerly known as Maruthi Udyog Limited and it is a subsidiary of Japan automobile and motorcycle manufacturer Suzuki. It cares about the customer satisfaction and strives to offer the best featured products by following PDCA in all functions of organization. It manufactures and sells a complete range of cars that include Alto to hatchback Ritz, A-Star, Swift, Wagon R, Zen and sedans DZire, Kizashi and SX4 and many other multipurpose vehicles like Suzuki Ertiga. Address: Maruti Suzuki India Limited, 1 Nelson Mandela Road, Vasant Kunj, New Delhi-110070. 1. 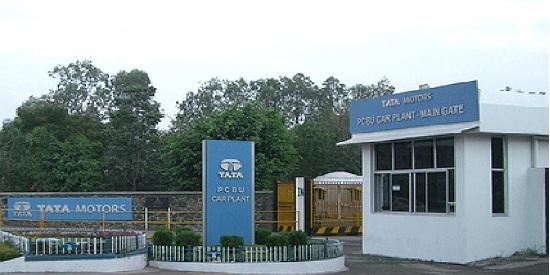 Tata Motors: It is India’s largest automobile manufacturer that was established in 1945. It is a flagship company of prestigious Tata group. It was head quartered in Mumbai and deals with cars, utility vehicles, defence and home land vehicles, Jaguar and land over, trucks and buses. It deals with Nano, Vista, Indica, Manza, Indigo, Safari Dicor, Sumo Grande are some of the major selling car models in India. With a focus on indegenisation Tata motors provides world class manufacturing units with state-of-the-art technology. Address: Tata Motors Limited, 6-10, Haji Moosa Patrawala Industrial Estate, 20, Dr. E Moses Road, Mahalaxmi, Mumbai-400 011.